The strength of cotton canvas comes with a bit more stretch. 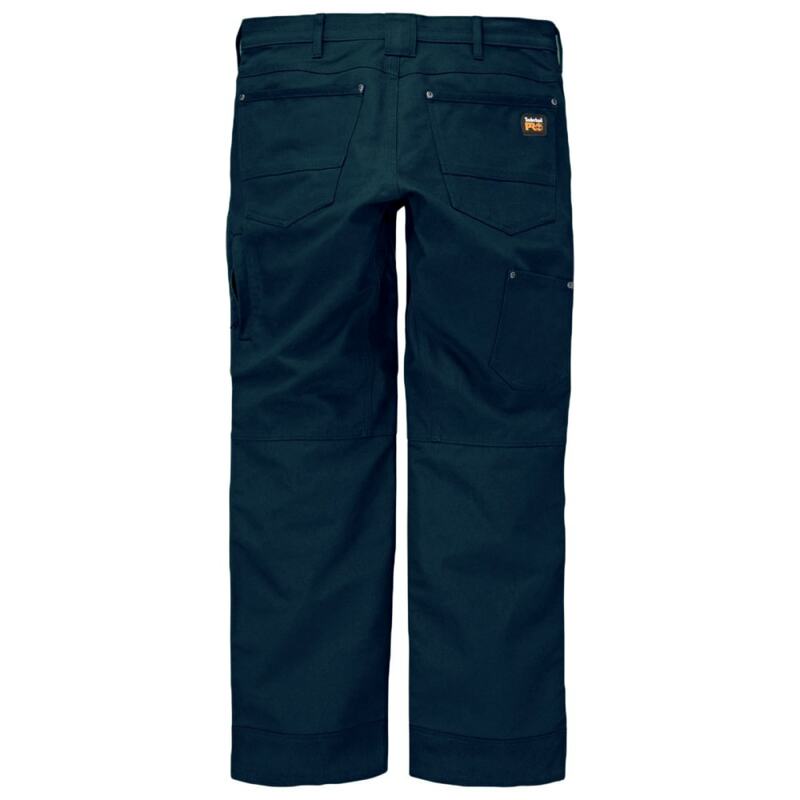 With elastane included, these work pants give you more mobility on the job, while a longer crotch gusset helps you kneel and bend without feeling chafed or restricted. Further, for extra convenience, multiple exterior pockets offer space to hold onto your basics, including a phone.